Congrats to the guys of The Soul Exchange, who have delivered an amazing album! 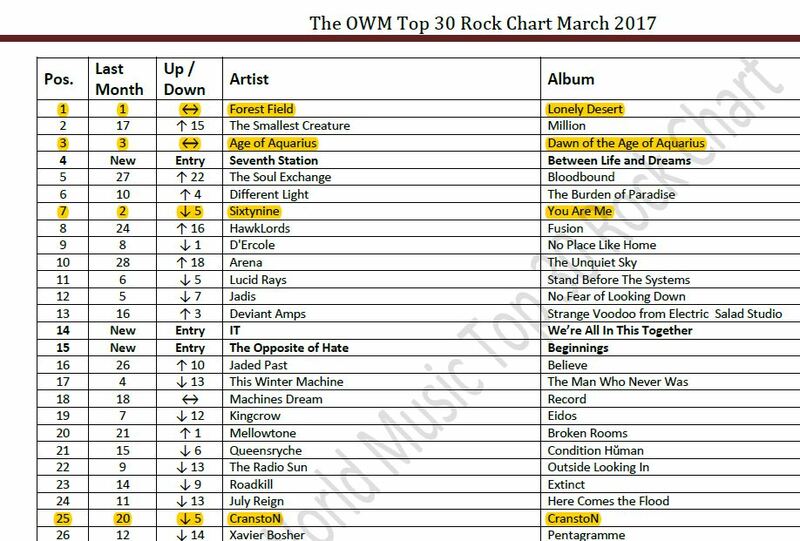 Well, how to react to the fact that your album is on top of the Top 30 Rock Chart for a record breaking 5th month in a row? I am speechless and so thankful for all the support Lonely Desert is receiving. It is awesome beyond words and humbling. The best words I have are THANK YOU! 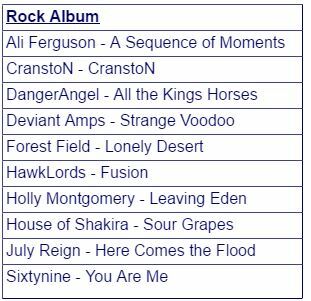 2016 Rock Album Award Nomination! 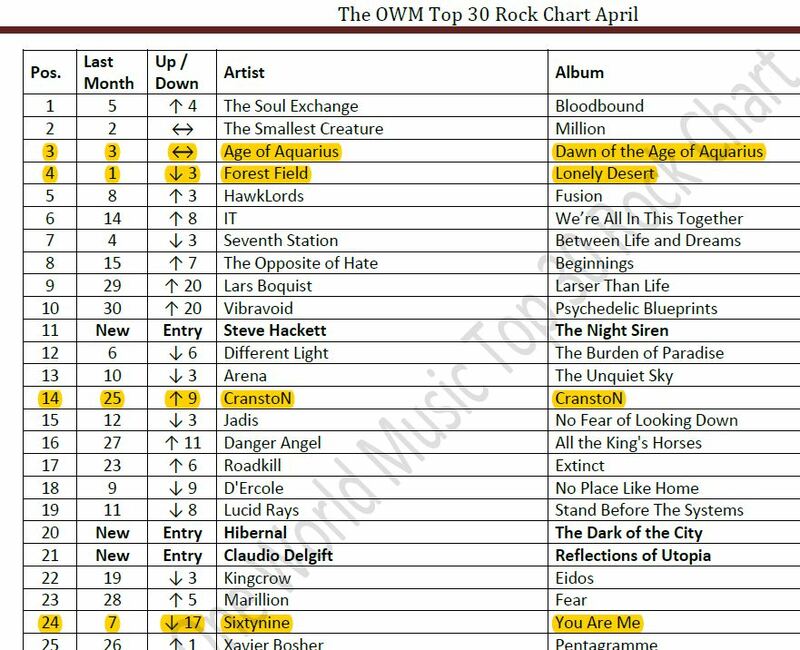 We have the honor of receiving the 2016 Rock album nomination from the ever so friendly people at One World Music Radio. 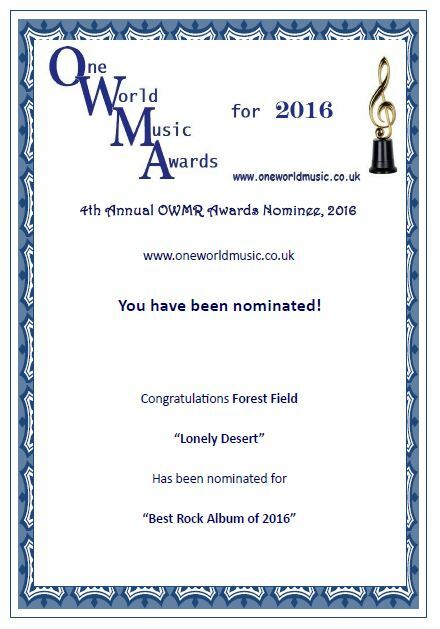 Their team of judges have decided to put our album Lonely Desert among the 10 nominees! If you look at the list, it feels kinda unreal we are featured there. Even when our previous album Angels? won at the awards for 2015. Needless to say we wish all the nominees success! As far as we are concerned, we are all already winners. Dmitry from Let It Rock on DMME has written another great review for our latest album! You can find it on their website or read it below. Thank you Dmitry! Spicy, if not spaced out, interpretation of the Muad’Dib story. Epic choruses abound. Over the years, there’s been a few attempts to harness the essence of Frank Herbert’s “Dune” but only Klaus Schulze had taken it to an LP scale while eschewing songs’ format, an approach which multi-instrumentalist Peter Cox turned around for his fourth album loosely based on the classic book. 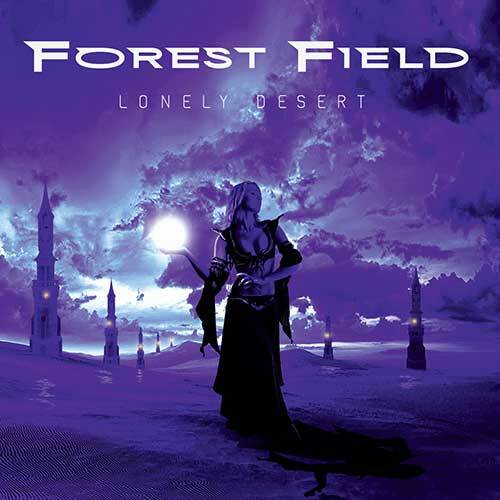 With former LEGION singer Phil Vincent giving voice to most of the pieces here and clinging to Arrakis’ literary surface in “Fear” to create a triumphant finale, “Lonely Desert” is a many-layered work which reveals previously unnoticed textures with every new spin without losing its infectiousness. One doesn’t need to be familiar with the context, though, to feel its melodic grip once “Valley Of Pain” has set things in motion with a heavy guitar hook, before vocals bring airiness into the arid riff-and-strum whose AOR magnetism is inescapable. There also sublime harmonies to make the refrains of “Into The Light” and “Asleep” as memorable as possible, yet dry production and deliberate toning down of the performances add to the thematic and cinematic dramatism that’s dictated by the original sci-fi saga. Whereas voiceless vignettes such as “To Bits” introduce folk sensibility to the narrative, they also provide atmospheric contrast to the tension oozing out from the organ-bolstered “Alienation” to let this cosmos breathe. It may be lonely out there, but there’s music for a company. Steve Sheppard from One World Music is someone whoe obviously cares deeply about his reviews and puts in a lot of effort to understand the music and give it the words it deserves. And once again he hit the nails on the head with his writing about our Lonely Desert album. From our perspective it is so great when people really take the time to dig in and get the understand what we do! Forest Field are back and with their most elaborate project to date as Lonely Desert is now upon us, and featuring the amazing vocals of CranstoN front man Phil Vincent and of course the stylish and classy guitars of Peter Cox, one of the most incredible multi instrumentalists around today. Valley of Pain is where we start, and if you ever wanted to begin with something exceptional this is it, this track is outstanding, almost like a heavier version of Marillion at times, but the driving guitar and melodic vocals from Vincent find that extra power along the way, that makes this opener a true classic and a perfect opening piece. Now for something completely different, this one is called Doomed in the Desert; the whole album is loosely based around the epic tale Dune, written of course by Frank Herbert. Here the piano and Vincent are narrator of this tale of the desert and the will to survive. A fresh approach this, a slow tempo to match the tired energy and labour of the lonely and lost desert wanderer, the keyboards and acoustic guitar creating a sun filled vista, in what is an excellently musically painted composition. Then as if to lull you into a false sense of security, at over 4 minutes in, the song explodes into a semi rock ballad of despair, grit and determination. The wonderful weave of this album continues with the song Asleep, the narrative is creative, as is the arrangement of this semi rock ballad, the instrumentation used here is indeed excellent, but for me the harmonies employed in the songs construction were outstanding. Here is another fine example just how far Cox has raised the Forest Field bar. Forest Field have succeeded, they have produced their best album with ease to date, I love all of their last releases, but this one is off the scale and I am certain will feature on many of my shows over the next few months. Cox and Vincent have created an undeniably superb release with Lonely Desert and Forest Field will no doubt relentlessly climb up the chart with this one. If you’re a rock fan and want to be both entertained and empowered, you would do you self a very big favour, by adding this total gem of a rock release, into your musical collection. Well, what can we say, we are still floored by all the compliments! Thank you Steve! Forest Field are back with their fourth studio work released by the Rock Company label. And saying Forest Field is talking about Dutchman Peter Cox, the brain and mentor of this project which is completed by the voice of Phil Vincent (Cranston, Tragik). Then all the instruments were recorded by Cox at Down the Road Studios in Holland. And what’s more is to say that Cox composed all the songs. So what about ‘Lonely Desert’? First, it is a step forward in quality with respect to the previous ‘Angels?’, already reviewed on these pages. The songs have more consistency, the production is superior and also the compositions. It is a work that mixes – as Forest Field have always done – progressive rock and melodic rock with more experimental parts and this is the best to date. There are a coiuple of instrumental tracks and the rest are adorned by Vincent’s voice, while the lyrics are based on Frank Herbert’s ‘The Chronicles of Dune’. Within the songs, we have the initial “Valley of Pain”, probably one of the best ever for its melancholic melody, brilliantly vocalized by Vincent. “Coriolis” is an introspective instrumental with a crescendo in rhythm and a guitar solo at the end that really explodes. “Doomed In The Desert” is a ballad adorned with piano and here it is noticed that the vocalist feels more at ease with this type of records. “Alienation (Stranger In Me)” also has that melodic imprint in half-time format, more rock and with good choirs. “To Bits” is an instrumental with subtle arpeggios of guitars, while “Asleep” is pure melodic rock, soft and dreamy. We also have something more heavy on “Into The Light”, with more sharp guitars and then follows “Riding the Worm”, the last of the instrumental tracks, more experimental with delicate arrangements of keyboards and works of guitars similar to David Gilmour. “The Confrontation” returns the classic melodic hard rock and the album ends with “Fear”, which mixes hard rock, AOR and prog, all in the same cocktail. As always, it is necessary to listen to the album more often to appreciate the work in its entirety. I would also say something to Peter Cox: it is time to make a purely instrumental record with “Coriolis” as a base of influence and for heads to fly.